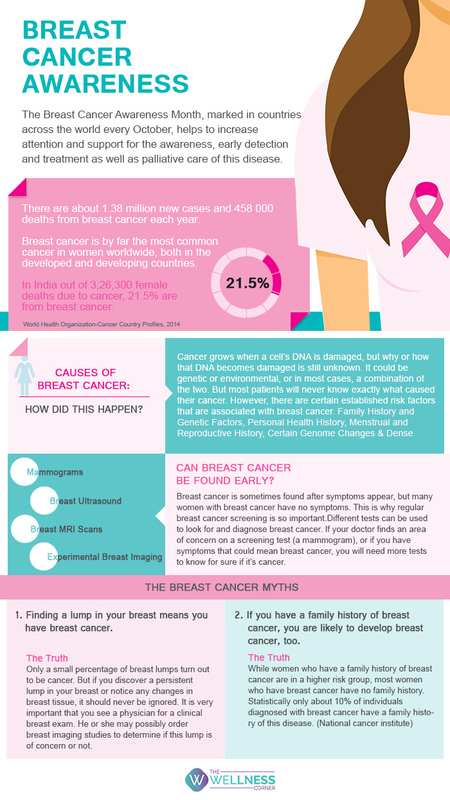 Breast cancer is the most common type of cancer to affect women across the globe. Self- care and timely actions can help detect it at the early stages. This world breast cancer awareness month, let us be more aware about breast cancer; for awareness is the first step towards self-care.